When researching ‘super – natural phenomena’ for the Star Ways chronicles, I become increasingly aware of how nature is never static. It is in constant motion. As they say, life happens. And life is cyclic. 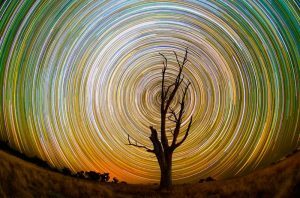 There is a lot of spiralling going on out there – oh – and in here… The spiralling motion of life happens in a lightning flash in Jasmine’s world of Quanta – well, it is the sphere of light after all. It was a feat, capturing these super – natural phenomena in words. 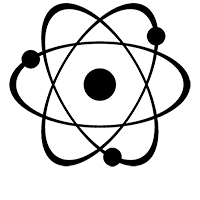 In itself, it was a phenomenal experience – how do I describe the cycles of life, energy, the coming together of matter and its breaking down into other matter, how do I link it with Jasmine’s worlds? – it was like running a galactic race through time, matter and space – maybe some of that super-naturalness is rubbing of on me – maybe I am transforming … Just like Jasmine … And oddly enough, I must say, it feels like dancing. Check out the grass dance captured in transvision by James Knott. From grass dancing to star dancing. Check this out, by Chia Hsien. 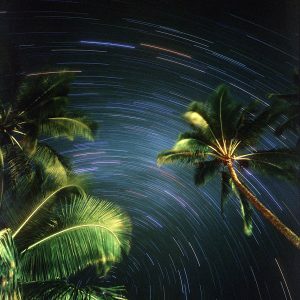 And this image by Robert Young, he calls it Hawaii Star Trails. This image was captured by Australian photographer Lincoln Harrison, in the Outback.